Gamers will be able to explore American history this October in a brand new way, courtesy of Ubisoft’s Montreal development studio. 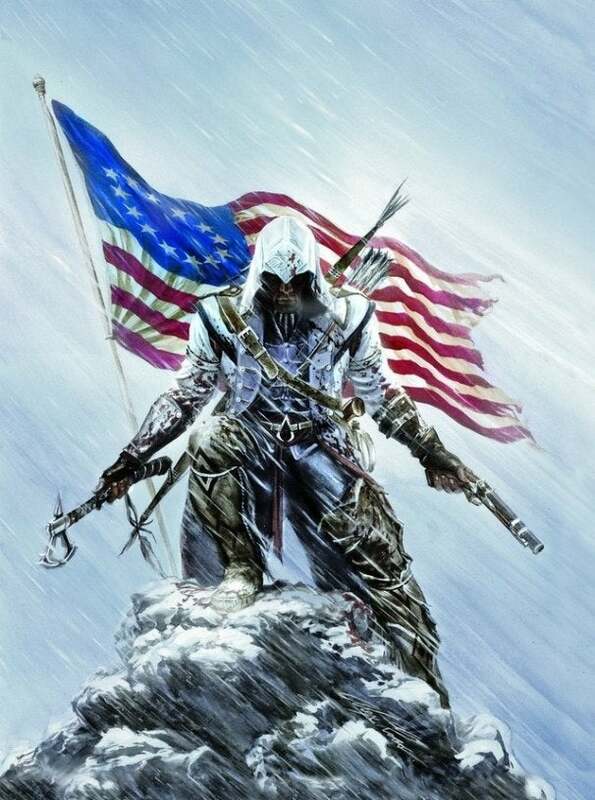 Set against the backdrop of the American Revolution in the late 18th century, Assassin’s Creed III introduces a new hero, Connor, of Native American and English heritage. At E3 this year, Ubisoft is offering players a deeper look into the role the frontier will play in this massive game. Alex Hutchinson, creative director on Assassin’s Creed III, talks about what’s in store in this walk through history in this exclusive interview. Game On: What’s new with Assassin’s Creed III at E3? Alex Hutchinson: There’s a lot of new stuff. I think the biggest thing for us is that new character, new setting, new time period. So it’s a perfect opportunity for new players to get into the franchise if they haven’t before, and hopefully we’re going to pay off the investment in a lot of the old-school fans as well. What are you showing off from the game’s frontier gameplay? We’re doing a deep dive into the frontier, which is a great place to show off Connor’s new navigation moves. It was important for us to make a character who was as capable in a wilderness environment of trees, cliffs, rivers and streams as previous assassins were in cities. It’s also a good way to show weather like snow, which is an important gameplay ingredient. We’re also showing animals like deer and wolves, as well as some of the new crowd life and a lot of new assassination moves. How open is this game’s world? We really wanted it to be as flexible and open as we could possibly make it, so we didn’t want to restrict fights to only flat ground. The combat system works on uneven terrain. We wanted organic shapes and cliffs, instead of having perfectly rigid, evenly divided areas. We have cliffs that are really natural formations. And you can assassinate on the run now. You can switch weapons, grab weapons on the fly and keep going. Hopefully, someone will make a video on YouTube and we’ll see someone finish the entire game without ever stopping. That would be amazing. How much choice will players have within the frontier when engaging enemies at the fort, for example? We also wanted to go back a little bit in time and look at the core concepts that we thought made Assassins Creed an amazing franchise. We had the benefit of a few extra years to work on this game, so we looked at how fighting and navigation and stealth works. We also looked at things that were great in AC 1 that might have gotten lost along the way. And there were great story elements in AC 2, so we tried to take the best of all of these games and put that into AC 3. Choice was a top priority. A lot of our assassinations have multiple paths. You have a moment when you get to survey the environment and pick how you want to go in, so we’re really trying to let people play their own way more. There’s multipath, but also multitasking available through all these mini quests. How does that work? You can also accumulate side tasks along the way. Someone might be in need of food, which encourages you to go hunting. Other people might be in need of your assistance in delivering objects. There are all kinds of little things you can get involved in along the way. We hope the players multitask with their main quest. So once you’ve accumulated a bunch of tasks to do in the frontier, when you get a mission that takes you there you might go and hunt a bear or shoot wolves since you’re there anyway. When it comes to shooting and hunting, what weapons will Connor have available? In the new combat system you always have a tool equipped because even though there are guns, they’re all terrible guns. They’re all one-shot pistols. We didn’t want you fumbling with the UI or changing weapons all the time. You can fluidly move between your close combat weapons and your tools and back and forth. We hope there’s a lot of choice in player expression. Can you give us an example of how historical events like the Battle of Bunker Hill will fit into what people experience when they’re playing the game? Historically, I think it’s a blessing and a curse in that we have more information about this period than any of the other periods we’ve tackled. We know where the founding fathers were almost hourly through the entirety of the revolution, so we can be very specific about some things. There are a lot of moments in the game like Bunker Hill, where you’re present at these big historical events that we’re trying very hard to recreate as accurately as possible, but obviously you have a side activity there. You’re not there to fight the Battle of Bunker Hill. You’re there to assassinate a man. Get ready to sneak through famous battles from Colonial American history. How do historical characters figure into the storyline that you’re telling? The lead writer told me that 80 percent of the main characters in the game are now historical people that you can actually look up online, if you so desire. You’re always meeting people who have their own agenda. Obviously, the famous people are usually involved in winning the revolution, but they always have other things they need you to do, or they’re interested in what you’re doing, or may be at odds with you. What can people learn about history from playing this game? Hopefully, you’ll see a different side to the Founding Fathers and the history of the country and best of all what the country looked like in the 18th Century. You know the maps of Boston and New York are one-to-three scale replicas of the street level of those cities in that period based on the maps that we dug up. The architecture is super-accurate to the Dutch districts in New York, the paving over of Canal Street. All these things are as accurate as we could make them. It’s a very interesting place to walk around, especially for an American audience.